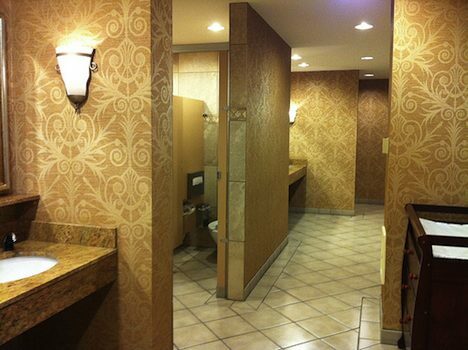 Many of us don’t think of restrooms as a luxury. In the U.S. and other developed countries where we may have a host in the restroom to squirt lilac-scented soap on our hands and fluff a fresh towel for us while we touch up our makeup, we hardly think twice about where we’re going to relieve ourselves. The reality is that more than 1 billion people go to the bathroom on or in the ground, because they simply lack the resources to defecate in a clean, private area. In an effort to change this, the Bill and Melinda Gates Foundation has announced that they will be launching a strategy to bring clean and safe sanitation devices to developing countries around the world. Sylvia Mathews Burlwell, President of the Foundation’s Global Development Program announced details at the 2011 AfricaSan Conference in Kigali, urging donors and government agencies to help in addressing the challenge. Clean, sanitary and flushable toilets are unavailable to nearly 40% of the world’s population, affecting a great deal of the developing world. Sanitary defacation areas reduce child diarrhea by approximately 30 percent, increasing school attendance for children who stay home due to illness. 1.5 million children die each year from diarrheal diseases, illness that could be prevented by sanitation, improved hygiene and clean drinking water. Serious health problems, and even death, are caused by unsanitary waste-storing methods. Various charities and organizations are assisting in the financial goals of this strategy, including WASH for Life and African Development Bank, African Water Facility. Some critics of the project are bringing to light the fact that technological advancements are not necessary in order for this to go into effect, but instead, more money and resources need to be geared toward bringing sanitary facilities where they are needed. In any case, many countries need more clean, flushable toilets where waste can be properly disposed of, so if this works well, it could bring significant benefits around the world.